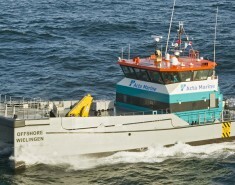 Acta Marine is a maritime support provider with a versatile fleet of over 40 vessels. 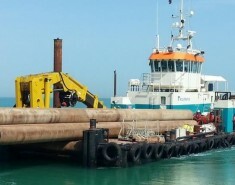 We operate globally; supporting clients working on coastal infrastructure and offshore energy projects. 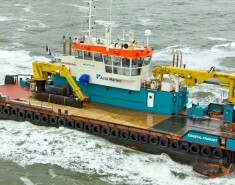 We work in a broad range of maritime sectors. 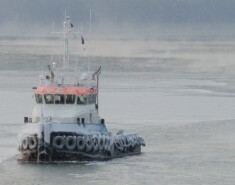 DP Multicats, Walk-to-work Vessels, Crew Transfer Vessels, Multipurpose & Survey Vessels, and Barges – our fleet is capable of taking on a wide scope of jobs. 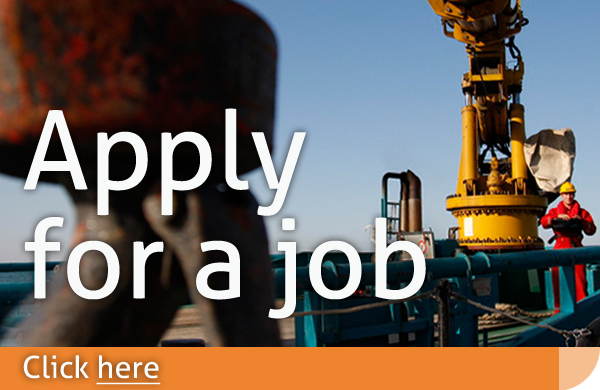 Our work is carried out by a motivated and professional team of personnel. With our proven track record, we strive continuously to optimise our services, providing our clients with the most effective solutions. We started out in 1970 – and still operate as – a family-owned business. With a long-term focus, we take care of all aspects of our business; our clients, business partners, our people, our assets, and the environment we work in. 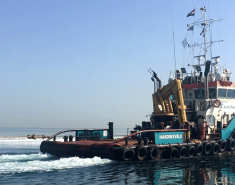 Dredging, coastal defence, port and marine construction, and aquaculture projects: our well-equipped fleet with its committed crews deliver tailor-made support for safe and sustainable operations. 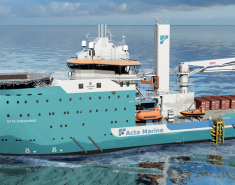 Responding to the world’s increasing energy needs and diversifying energy supplies, Acta Marine provides safe and efficient operations for the Oil & Gas, Offshore Wind and emerging renewable energy industries. 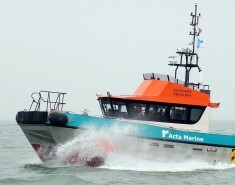 Acta Marine’s Multicats are probably best known for being multi-purpose shallow water specialists. 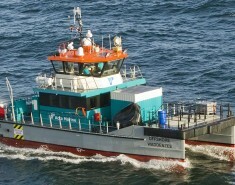 But did you also know that they are also among the most fuel efficient DP workboats in the maritime industry? 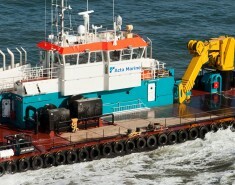 Acta Marine works on projects all over the world. 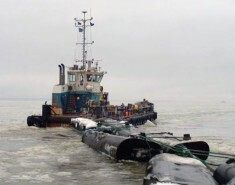 This means that vessel mobilisation is a crucial part of the company’s operations. It’s a question of getting the right assets in the right place at the right time. 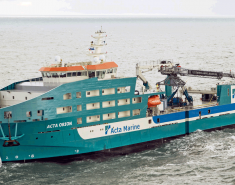 In a little more than two months, the next offshore wind vessel for Acta Marine, the ‘Acta Centaurus’, will be completed and ready for CSV/SOV operation. 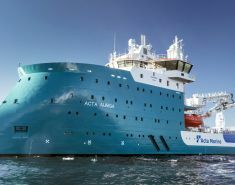 Acta Marine’s site team is following the vessel’s progress on a daily basis, staying at Ulstein Verft on a 4-week schedule. 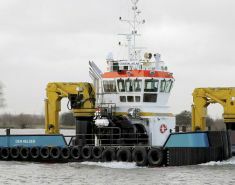 On Sunday, 17 February 2019, they closely followed the installation of the helideck.